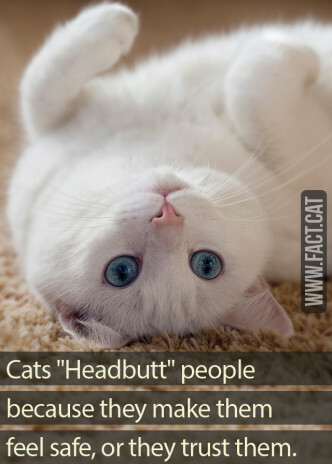 fact.cat – Page 8 – The fact.cat finds interesting facts with which to fill your brains. 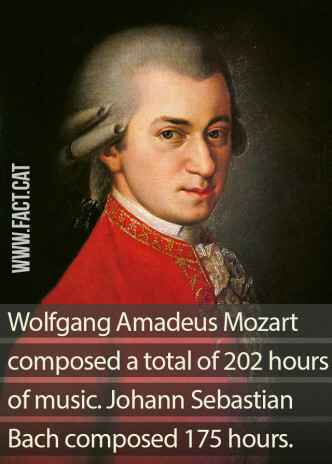 Wolfgang Amadeus Mozart composed a total of 202 hours of music. Johann Sebastian Bach composed 175 hours. How busy is the Indian railway system? 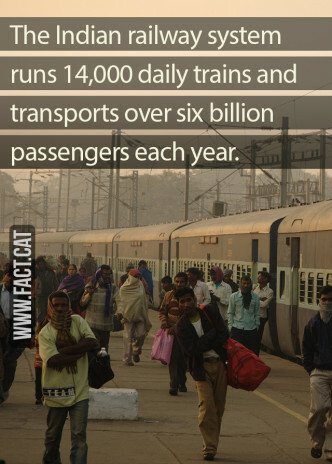 The Indian railway system runs 14,000 daily trains and transports over six billion passengers each year. 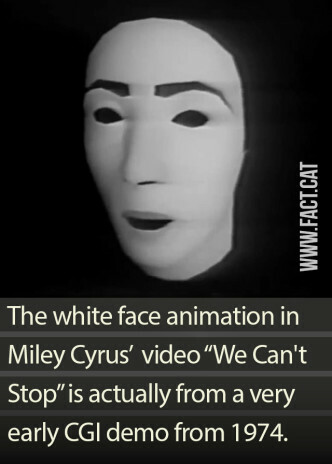 The white face animation in Miley Cyrus’ video “We Can’t Stop” is actually from a very early CGI demo from 1974. 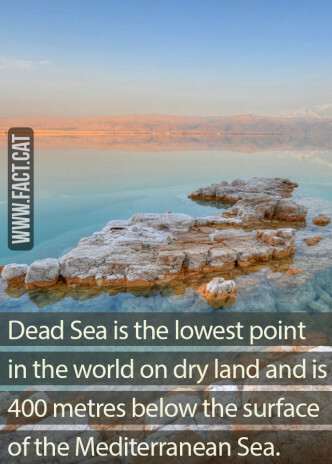 What is the lowest point in the world? 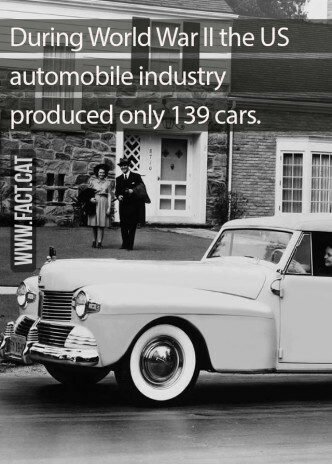 Gillette sales in their first year. 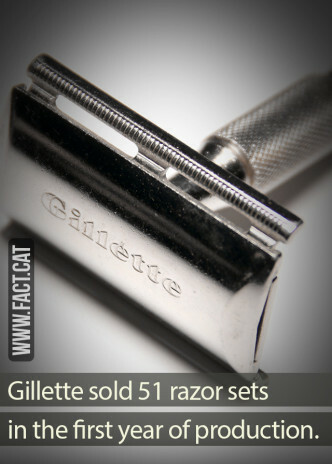 Gillette sold 51 razor sets in the first year of production. 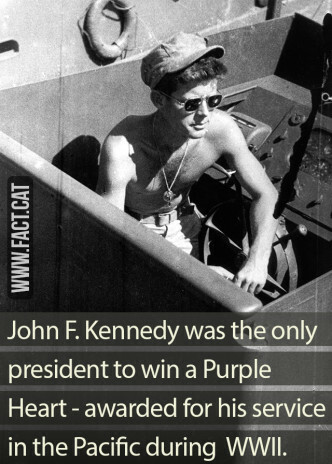 How much pizza do Americans consume? 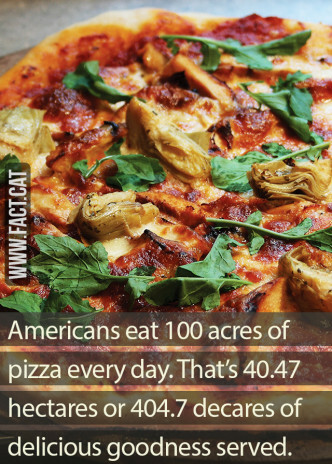 Americans eat 100 acres of pizza every day. That’s 40.47 hectares or 404.7 decares of delicious goodness served.